Was 5 Seconds of Summer Michael Clifford's Engagement Spon-Con? 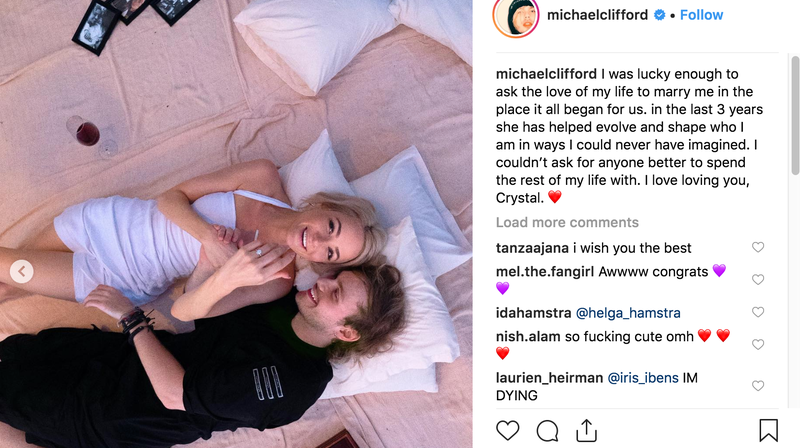 Michael Clifford, the lead guitarist of the popular punk-pop group 5 Seconds of Summer, got engaged to his girlfriend of three years, Crystal Leigh, Wednesday evening in Bali. The pair were celebrating their anniversary and—unless you are in the camp of people who refer to 5SOS as a boy band and refuse to believe boy bands should or could ever wed—none of this comes as any real surprise. The two are inseparable and have been for quite some time. As someone who loves love and radio pop, I was delighted by the news until I did a tiny bit of research and learned that the engagement was most definitely spon-con. And this was not like Nick Jonas and Priyanka Chopra cutting a deal with People Magazine for exclusive access and photo rights to their wedding, a pretty standard practice for all manner of celebrity life events. This engagement appeared to be a full-on trip to the other side of the planet, sponsored by Guess. The first few clues arrived in the week leading up to the engagement via Guess’s and Leigh’s own Twitter and Instagram pages. She and the corporation shared seemingly professional, lovey-dovey photographs with the hashtag #DestinationGuess. 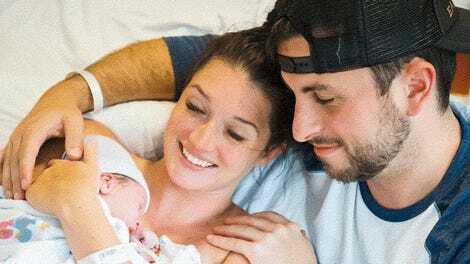 After the engagement officially took place, tabloids like US Weekly immediately began publishing information about the nuptials that read like a straight-up press release, complete with details that would otherwise go unknown if not leaked by a publicist. According to Just Jared, Leigh wore the “Gabbie open shoulder lace dress and gold tone shine hoop earring,” both from Guess, at the time of their engagement at “the Ungasan Clifftop Resort.” Apparently, the song “Medicine” by The 1975 played as the pair shared a sunset smooch in the same spot they “first kissed” three years prior. If that’s not enough proof for you, the photos of the engagement that circulated were all credited as “Courtesy of GUESS?” and, like clockwork, also appeared on Guess’s Twitter with the #DestinationGuess hashtag. The future of spon-con is here, and it’s getting brands to fly celebrities out to gorgeous places to get engaged—as long as they’re provided with consistent content, wear their clothes, use their hashtags, and convert friends, family and fans to the church of consumerism. ️ just wanted to clear that up for you, no hard feelings.